I first produced my pistol, and then produced my rapier. I counted out his money, and it made a pretty penny. I put it in my pocket and I took it home to Jenny. I dreamt of gold and jewels and for sure it was no wonder. Then sent for captain Farrel to be ready for the slaughter. The guards were all around me and likewise captain Farrel. But I couldn’t shoot the water so a prisoner I was taken. If I can find his station down in Cork or in Killarney. But others take delight in the gambling and the smoking. 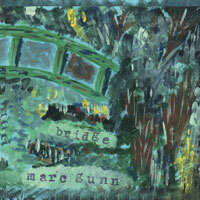 “Whiskey in the Jar” is the first track off Marc Gunn’s first release of 2013, “Not Every Day Is St. Patrick’s Day”. 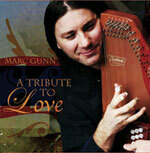 My St. Patrick’s Day CD features 20 tracks of Celtic songs. While Whiskey in the Jar is a great traditional Irish drinking song, it was probably made most famous by Thin Lizzy and then by Metallica. I learned it from a great album of Irish Drinking Songs and made it my own. It’s foot stomping, hand clapping fun!